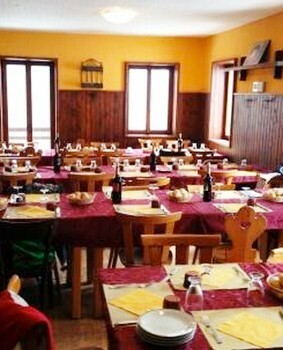 A few meters from the ski lifts, in the countryside and in the quiet of the valleys that open to the eye, is Rifugio Disolin. Feel at home at the shelter is easy, the treatment is the family kitchen bases its foundations on the culinary tradition of the Valsassina, but with a modern twist with the wise hand of our chef Daniele. 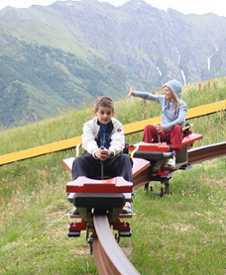 Undertake a bob sled run through a forest and mountain valley. Suitable for children and adults alike (see video on web site link). Open from 14:00 to 18:00 on weekends in June and September and everyday in August. There’s also a trampoline park for kids. Food and drink are available at the Sandwich Bar Chiaro di Luna. Nearby Things to Do include: Funicular and Cable Cars such as Pian delle Betulle Cable Car; Monuments such as Taceno Frescoes; Theme Parks such as Jungle Raider Park (Margno) and Bob Run; Churches such as Chiesetta di Santa Margherita and Stations of the Cross; Paragliding Tours such as Flylibell Paragliding.